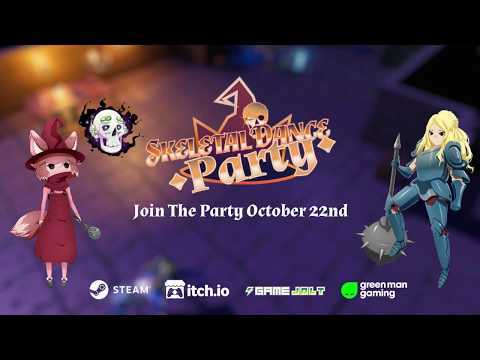 Party: Invite a myriad of monsters to your big bash, and dance your way to victory! Physics: Everything is physics-based – you’ve been gifted with the power of telekinesis. Necromancy: Expand and lead your party army to victory with an range of necromantic spells. Loot: Your boney buddies will equip everything from weapons to hats, from spell books to trumpets. Original soundtrack made by Connor O.R.T. Linning.